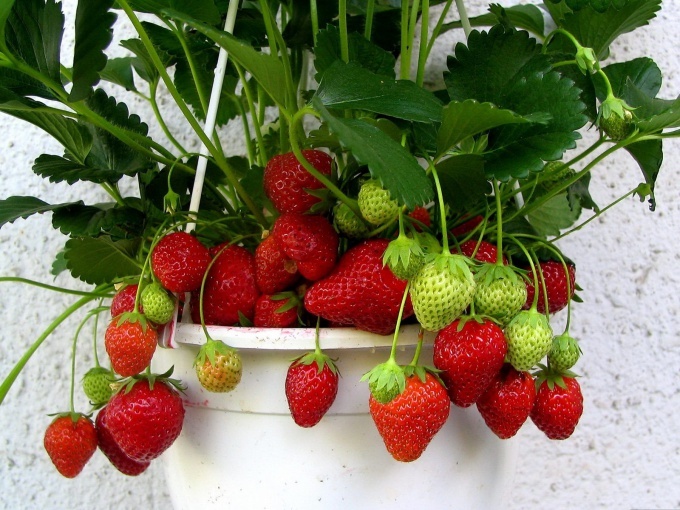 Strawberries in pots is the new popular trend in gardening. It's not just convenient - no need to bend down to pick strawberries, but also incredibly practical. A little preparation and the harvest of strawberries will delight even the most cold and rainy summer. What's the advantage of strawberries in pots? Not only in the undoubted convenience of collection. Strawberries in pots is not dirty, did not eat slugs, it does not rot on the ground. And yet - it is possible to plant earlier and earlier to harvest. And, of course, it's incredibly beautiful! To plant strawberries in pots, start training in the fall. Dig seedlings is the most productive of strawberries with two or three leaves, put them in a row on top of each other, cover the Mat and put to February in a cool dark place. In February - prepare pots and soil. Pots you can buy a ready - their size - 2-3 liters. Or make yourself of the litre buckets of mayonnaise. Improvised pots for strawberries can be decorated differently, painted in all colors of the rainbow, stick to artificial flowers, seashells, etc. In the pot must be hole and drainage - small stones with a diameter of 2-4 mm. Please note: the pots with strawberries can be taken outside when the night temperature will not fall below 0 degrees. Then the earth in the pots will not freeze, and the spring sun will be well to heat the ground, giving the berries force for growth. Pour into pots of black soil for berries. It can be purchased in gardening stores, or you can prepare in the autumn, bringing with cottages. Let's put one seedling in a pot, watering profusely (this should be done in the early to mid - March). A month and a half, depending on the weather, pots of strawberries, you can put on the street. On the ground they do not need to put! 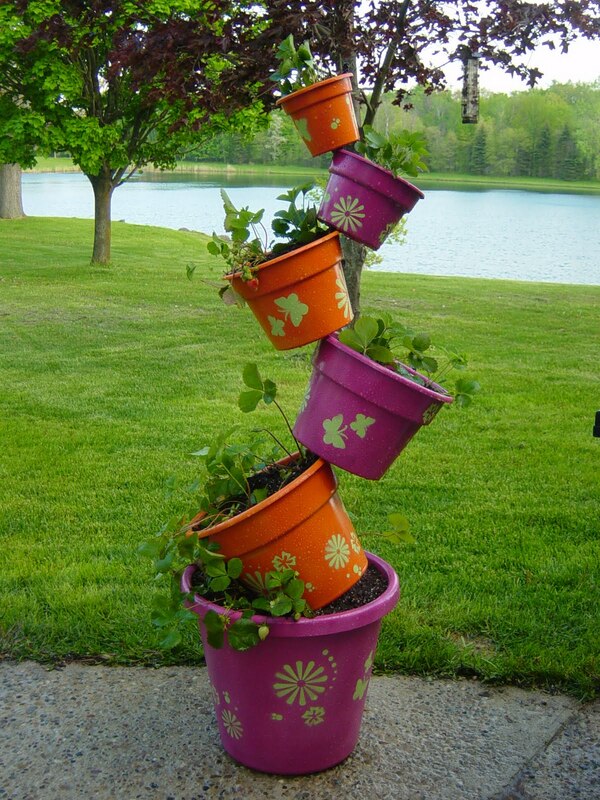 Make a simple fixture in the form of long bars on posts and hang them on the pots with strawberries. Tip: pots can be mounted on the Windows - outside (then you can tear the berries from the comfort of home), in the gazebo, on the fence. This time you grow not just a garden culture and country decor. Get creative, garnish with berries favourite garden!